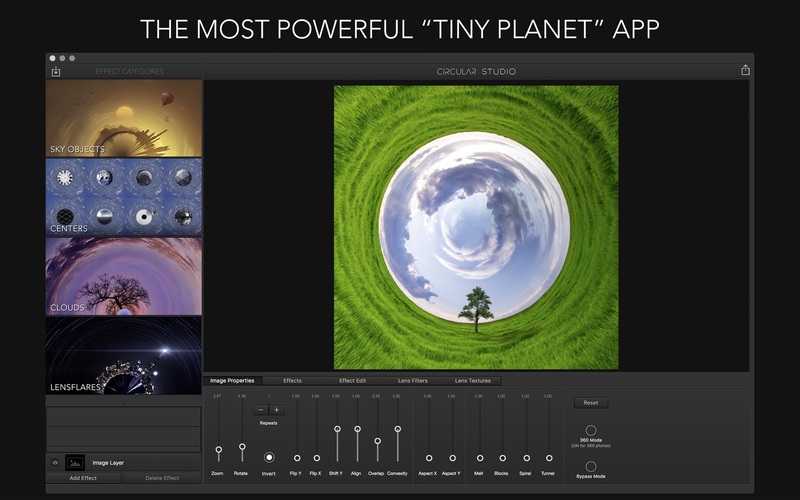 Circular Studio is an incredibly powerful “tiny planet” app for the Mac. It has innovative new features never seen before in this type of app, such as sky objects, centers, clouds, and flares. Next story iOS Toolkit 1.1.20 – iPhone Data Recovery. Previous story Affinity Photo 1.7.0.107 – Digital editing for photographers and bitmap artists (Beta). DxO PhotoLab 1.0.0 – Image enhancement for RAW and JPEG files.